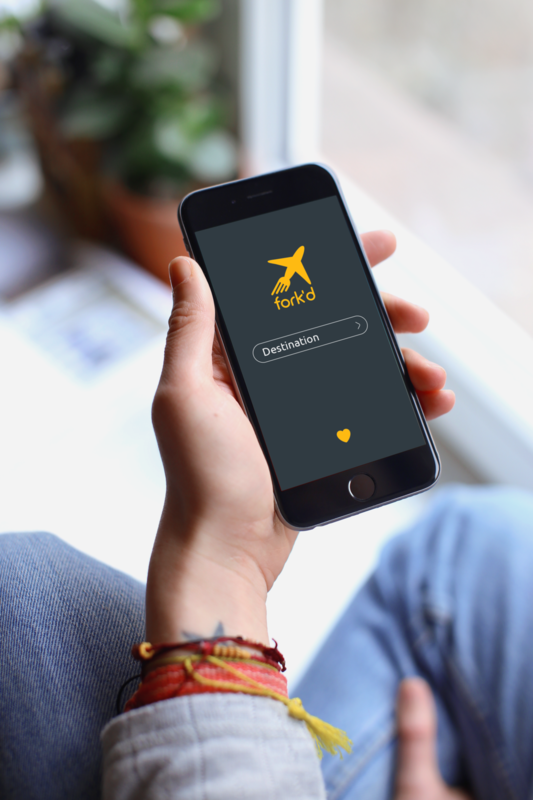 Fork'd is a Mobile App Prototype for a food app designed for the foodie abroad. This app enables foodies of all demographics to find the best food regardless of their location. The app gives the traveler what they need to know to be able to enjoy the place that they are at to their fullest while also allowing for the choice of the occasional food from home and food to satiate cravings from vegetarian to drunk food. Within the app, the user has the ability to search for their desired destination which provides them with the best traditional eats of the area as well as cultural tips such as paying, etiquette, and useful phrases. From there the user has the ability to filter their search for their desired type of food, price, distance, and other such criteria. Once they have selected a restaurant, they can view the menu, including the English names of the dishes and their rough ingredients, the reviews of the restaurant, and the map. The map has the capability to be saved within the Favorites page to be utilized with the same technology that Google Maps uses to be able to locate oneself without the use of wifi. The promo for the App allows the potential user to see the app in motion and transports them to scenes of where the app might take them.